Designed and made for RTS buses OEM blower. maximum air flow-- 700 M3/H. We bought these in a box NEW. The ones we tested were very powerful. Noise and vibration are held to a minimum to maintain CFM at higher static pressures. UL and C-UL Recognized (E47479). (This Fan is used on the Shaver Wood Furnace) Also used for many other applications. FANTECH FG 6XL Centrifugal Inline Fan 6" Duct Diameter 120v 494 CFM. Condition is New. Shipped with USPS Priority Mail. 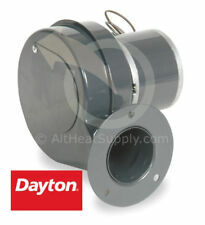 Blower Housing: 319 Cast Aluminum. Blower Type: Direct Drive Centrufugal Squirel Cage. Blower Nominal Wheel Size: 6.3 x 3.5 in. Blower Model: LM-6. The motor bearings have been replaced, and the motor and blower tested good. Blower Housing: 319 Cast Aluminum. Blower Type: Direct Drive Centrufugal Squirel Cage. Blower Nominal Wheel Size: 6.3 x 3.5 in. Blower Model: LM-6. The blower output is adjustable to point to one of four positions: 3 o'clock, 6 o'clock, 9 o'clock, and 12 o'clock. Acoustafoil wheel. 200-230/460V. 7.4-8.4/4.2A. Tested and works as should. has dents on outside housing wheel turns fine. 16" x 18.5" Opening. Need it urgently?. Call us and we will do what we can to get it to you quickly. Baldor Motor Northern Blower Centrifugal Fan. Prefer to pick it up yourself?. BULLSEYE INDUSTRIAL SALES, LLC. Your zip code. Will there be a dock or forklift. MOJONNIER BROS. A2244P 3 HP 5300 CFM Centrifugal Squirrel Cage Blower Fan. MPN: A2244P. Model: 3 HP 5300 CFM. This Blower Was Originally Part Of A Evaporative Condenser. It Moves A lot Of Air! Will there be a dock or forklift. Model: 36202B4. Prefer to pick it up yourself?. Lister: rs. Your zip code. Will there be a dock or forklift. 1PCS Mini Cooling Fan. [Wire Length] 140mm. We afford all cost if it's our fault. or Negative. We maintain the excellent service standards. DC3.7V Current: 0.2 A Speed: 3040RPM. BULLSEYE INDUSTRIAL SALES, LLC. Warehouse Location: MB0921. Prefer to pick it up yourself?. Your zip code. Will there be a dock or forklift. MPN: C45/4T. Used in exhaust, airflow, crawl space ventilation, etc. 230/460V 3phase. 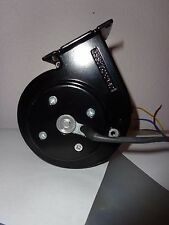 9" Backward Incline Single Width Fan. Sidelock Absolute Filter Housing. Prefer to pick it up yourself?. MPN: Unknown_. Your zip code. Will there be a dock or forklift. Model: 15ACF. Backward Inclined - Airfoil. 280/460V 3phase. Belt Drive. 16-1/2" inlet. 11-1/4"x16-3/4" outlet. Tested Good No Abnormal Vibrations. We choose the carrier. Product CategoryAC Blower. 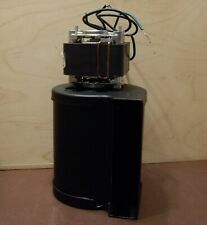 Capacitor, 4 MFD, 400VAC, Plastic, Motor Run. Product Depth (mm)76. Product Length (mm)117.5. MountingFlange Mount. Model: 120 CIC 120CIC. VOLTS: 200 FAN RPM: 2162. RPM: 1725 DATE: JULY 2005. Model: 120 GIC 120GIC. Fan Information. PH: 3 Hz: 60 Design CFM: 1000. HP: 1 Design CFM: 1000. Motor Information. Yours will be sealed in the box, I just opened one for photos. This will aide in providing a more accurate quote. This fee will vary depending on the size of the item. Everything Else / Other. ITEM SPECIFICATIONS. The fan can be mounted at any angle in any point along the duct work and straight-through air flow design allows easy installation. All FG Series fans are backed by Fantech’s Five Year Warranty. Guide Specifications for Model FG Inline Duct Fans. MPN: 5C516. ITEM: 45025. 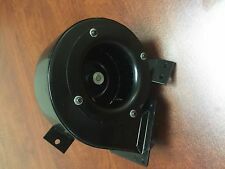 FANTECH INLINE CENTRIFUGAL 4" DUCT FAN. MODEL: FR100. 100 cfm @ 0.20" WG. SIZE: 4" DUCT. MOLDED FAN. VOLTS: 120.